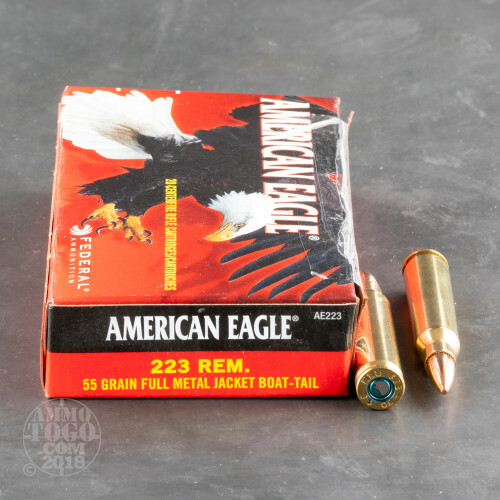 This is 223 Federal American Eagle AE223 55gr. Full Metal Jacket Ammo. 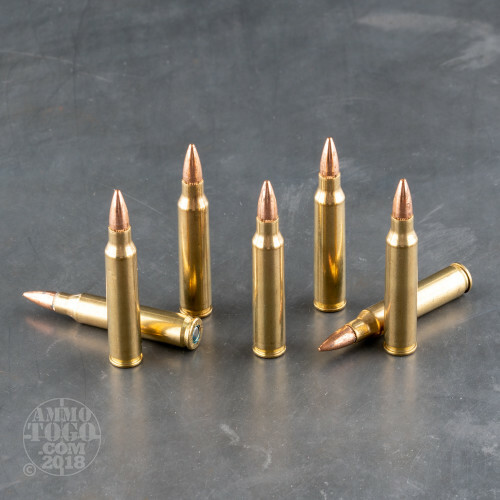 An excellent choice for training and range use, this ammunition is brass cased, boxer primed, and 100% non-corrosive. 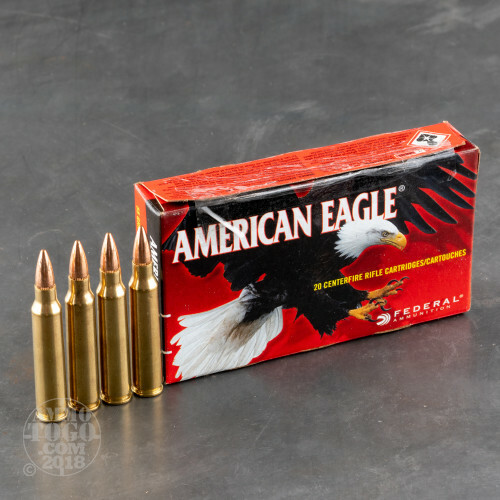 This ammo is manufactured in the United States with Federal military brass. This is new factory ammo with reloadable brass-cases. 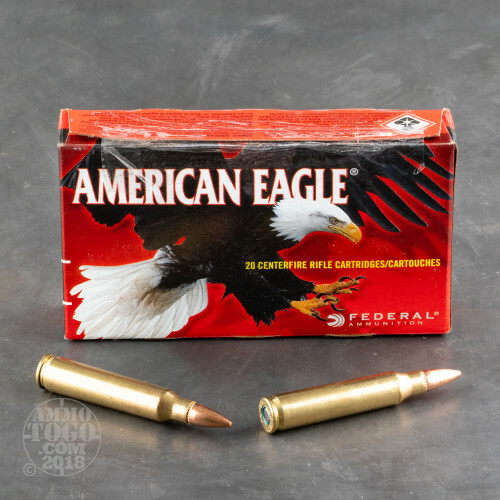 Heralded by shootings as accurate, clean, and reliable, American Eagle 223 ammo is one of our best sellers for good reason. This is some great ammo for your AR15 and comes packed in 20rd. boxes, 25 boxes per case. To me, this is the best multiple purpose AR ammo. It is affordable and reliable. I shoot this all the time in all of my AR's and it always works great.